BANT holds some information about you. This document outlines how that information is used, who we may share that information with and how we keep it secure. This notice does not provide exhaustive detail. However, we are happy to provide any additional information or explanation needed. Any requests for this should be sent to the generalmanager@bant.org.uk. We keep our Privacy Notice under regular review. This Privacy Notice was last reviewed in May 2018. 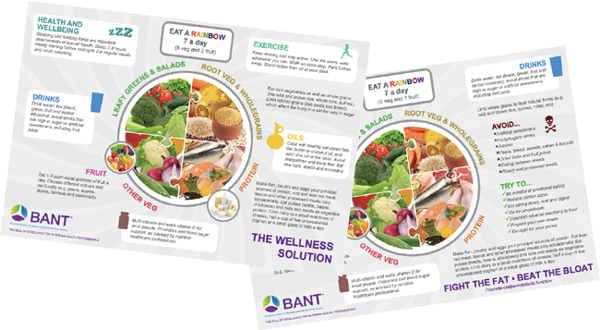 BANT’s primary function is to assist its members in attaining the highest standards of integrity, knowledge, competence and professional practice, in order to protect the client’s interests, nutritional therapy and the Nutritional Therapist. BANT promotes the activities, training and continuing professional development and recommend our practitioners keep fully updated in their profession. We use your information to manage and administer your membership of BANT. This means that the legal basis of our holding your personal data is for contract purposes. We also use your information to provide you with core membership services such as the Supervision scheme and guidance on professional practice. This means that the legal basis of our processing your personal data is for legitimate interests. We also use your information to provide you with member benefits such as promotional offers and discounts, CPD events, Regional Branch meetings and Local Network meetings and employment and volunteering opportunities. We will always seek your consent to process your information in this way. This means that the legal basis for us holding your personal data is consent. We undertake at all times to protect your personal data in a manner which is consistent with the requirements of the General Data Protection Regulation (GDPR) concerning data protection. We will also take reasonable security measures to protect your personal data storage. With your consent we will share your contact information with Local Network Coordinators in order to communicate with you regarding Local Network meetings in your area, and Regional Branch Committees to communicate with you regarding Regional Branch meetings in your area. 5. How long do you hold confidential information for? All records held by the BANT will be kept in line with our records retention policy. These retentions are in line with the length of time we need to keep your personal information in order to manage and administer your BANT membership. They also take into account any legal, statutory and regulatory obligations. Our need to use your personal information will be reassessed on a regular basis and information which is no longer required will be disposed of. BANT is registered with the Information Commissioner’s Office (ICO) as a data controller and collects data for a variety of purposes. A copy of the registration is available through the ICO website (search by business name). If you would like to invoke any of the above rights then please write to the Data Controller at BANT, 27 Old Gloucester Street, London WC1N 3XX or email generalmanager@bant.org.uk. If you have a complaint regarding the use of your personal data then please contact us by writing to the Data Controller at BANT, 27 Old Gloucester Street, London WC1N 3XX or email generalmanager@bant.org.uk and we will do our best to help you.